San Diego, Calif., Nov. 3, 2011— Imagine someone were to take a photo of what you were doing every 15 seconds of every hour you were awake. How many of the resulting images would depict you staring at a computer monitor or television screen? How many would depict you eating a healthy meal or taking a walk outside? Researchers at the University of California, San Diego’s Center for Wireless and Population Health Systems (CWPHS) have begun to collect precisely this type of visual “life-logging” data with a Microsoft research prototype camera known as the SenseCam. The researchers, who are based at the UCSD division of the California Institute for Telecommunications and Information Technology (Calit2), hope the images they’ve gathered in a recent pilot study will reveal details about the modern “sedentary” lifestyle and teach machines how to help people live more healthfully. 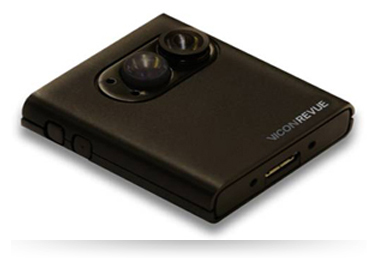 The SenseCam, which is now being manufactured as the Vicon Revue, is a lightweight device designed to be worn around the neck so its internal camera can take a wide-angle, first-person point-of-view photo every 10-15 seconds. The resulting images are purposely low-resolution (30-40 kb jpgs) to account for the user’s privacy — if the camera snaps a photo of the computer screen the user is staring at, the content on the screen will be too low-resolution to properly see. Users can also delete images they are uncomfortable sharing, or “pause” the camera for five and a half minutes (a feature essentially designed for bathroom breaks). What the SenseCam does capture is the “bigger picture” — how often a person eats, for example, or if the majority of physical activity in a person’s day is done in a pleasant leafy green space that is more conducive to exercise, or in a busy urban environment with few usable sidewalks. For the trial study, the team at CWPHS team outfitted 100 individuals in the U.S., UK and New Zealand with SenseCam cameras for at least three days to quantify how much the camera improved upon CWPHS’ existing suite of wearable sensors, known as the Physical Activity and Location Measurement System (PALMS). PALMS measures physical activity (with accelerometers and heart rate/motion sensors, for example), physical location (GPS) sensors and, if a researcher desires, environmental parameters (air quality) to detect patterns in physical activity within the context of a specific environment. But as advanced as it is, even PALMS has its limits, say the researchers. “With the accelerometers and motion sensors, we know how much the hips are moving but not exactly what the person is doing,” Kelly explains. “And with GPS, all we know is where the person is going. 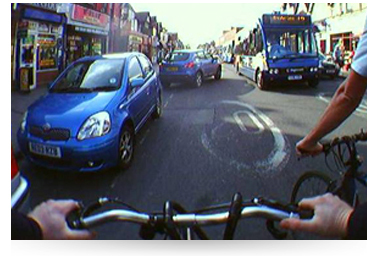 We don’t know if they’re cycling or driving.” Self-reporting via food or exercise diaries — another popular data-gathering method — is also flawed because individuals tend to give answers that are socially desirable rather than wholly accurate. For clinicians, the Sensecam provides important contextual data that could assist them in making lifestyle recommendations. Kelly, Kerr and their colleagues on the study, who include CWPHS Director Kevin Patrick of UCSD and San Diego State University (SDSU) associate professor Simon Marshall, as well as Oxford University researchers Charlie Foster and Aiden Doherty, are now in the process of analyzing and coding the images to teach computers to automatically recognize behaviors or environments, and avoid laborious human coding. The researchers say the SenseCam and similar devices could be used to modify just about any behavior, from smoking to substance abuse to parenting. Alzheimer’s patients and other cognitively impaired individuals might even use camera-based devices to make memory diaries, say the researchers. Kelly says he envisions a future where an individual’s general practitioner would ask him to wear the SenseCam (or a similarly equipped mobile technology) for a week and then suggest behavior modifications. The SenseCam is a lightweight device designed to be worn around the neck so its internal camera can take a wide-angle, first-person point-of-view photo every 10-15 seconds. "Being able to measure physical activity and dietary intake is important for establishing links to wellness or disease,” says Paul Kelly, a member of the SenseCam research team.